On March 11, 2011, a magnitude MW 9.0 thrust earthquake ruptured the Japan Trench along the northwest coast of Honshu and generated a tsunami that killed 15,894 people, left 2585 missing (as of March 2017) and destroyed more than 130,000 houses. 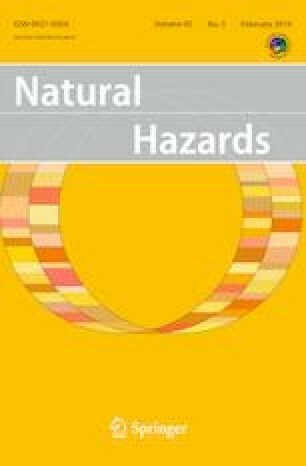 The purpose of this paper is to review the current status and scope of tsunami recovery in the Tohoku region, focusing on investments in structural protection measures as well as extensive implementation of non-structural “managed retreat.” Japan’s response to the 2011 tsunami contrasts with approaches to disaster management in the USA and elsewhere in the world. New structural protections built in Japan since 2011 include a massive concrete-lined tsunami barrier system, stretching > 400 km of coast, at a cost of at least $8 billion. Managed retreat is a relatively new area of research and risk management focusing on withdrawal of infrastructure and population from at-risk areas. Japan’s post-tsunami disaster response may represent the single largest case of disaster-related managed retreat in recent world history. Approximately 145,000 homes, including whole new towns, are being built outside the tsunami hazard zone. Disaster managers worldwide should look to Japan for lessons learned from the investment and efforts since 2011.